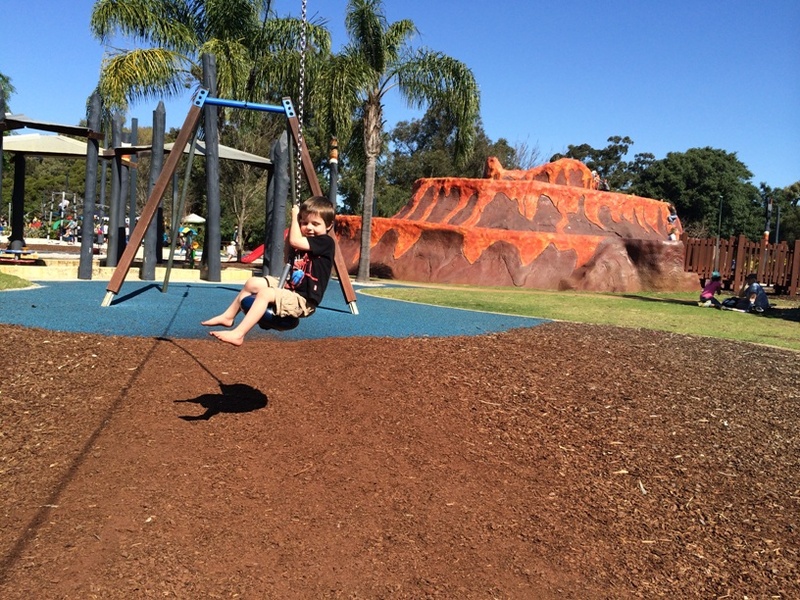 Faulkner "Volcano" Park is located between Belmont Shopping Centre and the Belmont Oasis Leisure Centre is fully fenced and is open from dawn 'til dusk. 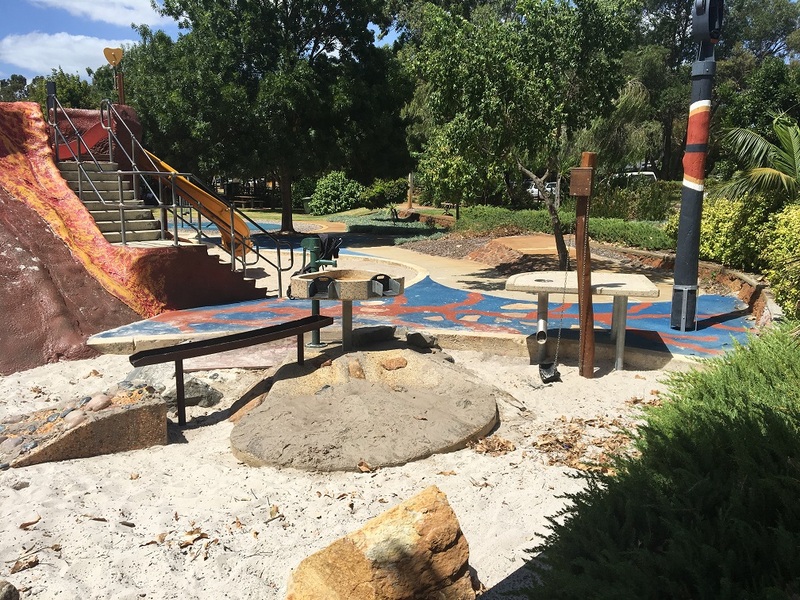 If you're looking for a playground for the kids to play a whole morning or afternoon away, this is the one! There is so much to do and see, and there is something for the little kids right up to the bigger kids - with the most popular attraction being the big volcano that shoots out "steam" (vapourised water) every 15-20mins. It has a pathway that winds up to the - it's wide enough that you can push the pram up there if you want to. It has a couple of slides on the side of the volcano or you can use the pathway to get back down. 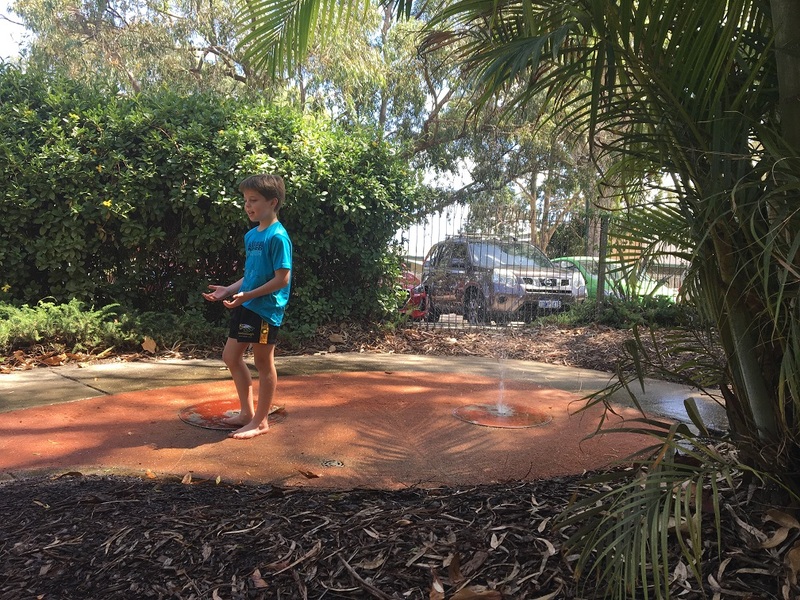 Make sure you bring a change of clothes and a towel, the "steam" that comes out of the top of the Volcano is vapourised water, and the kids can stand on the vent when the water comes out and they get pretty wet! There are also some water sprays in and amongst the jungle garden that shoot up randomly plus there is also a water and sand play section too. There are plenty of options to keep cool on a warm day at Volcano Park. The single cable flying fox is also a popular feature at Volcano Park. It has an elevated ramp at one end so kids can reach the seat. 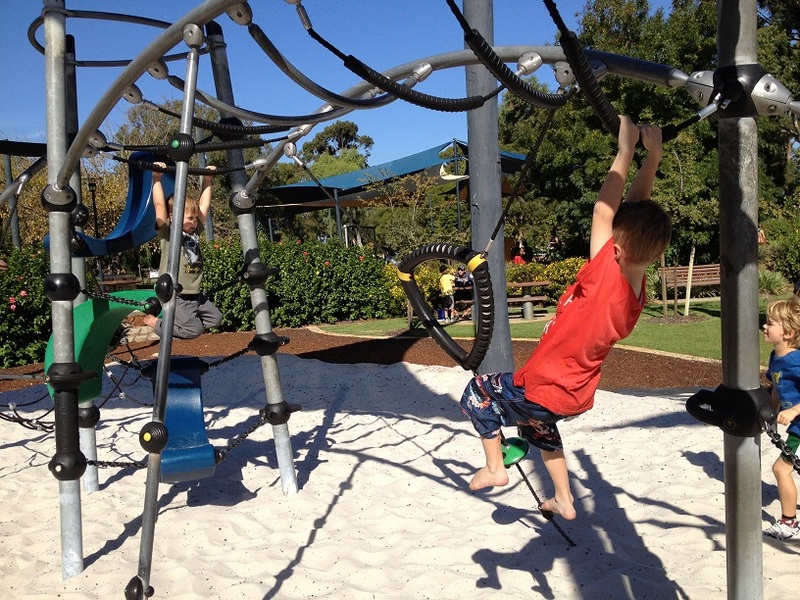 There is a shaded traditional play area with monkey bars and some climbing challenges for bigger kids. 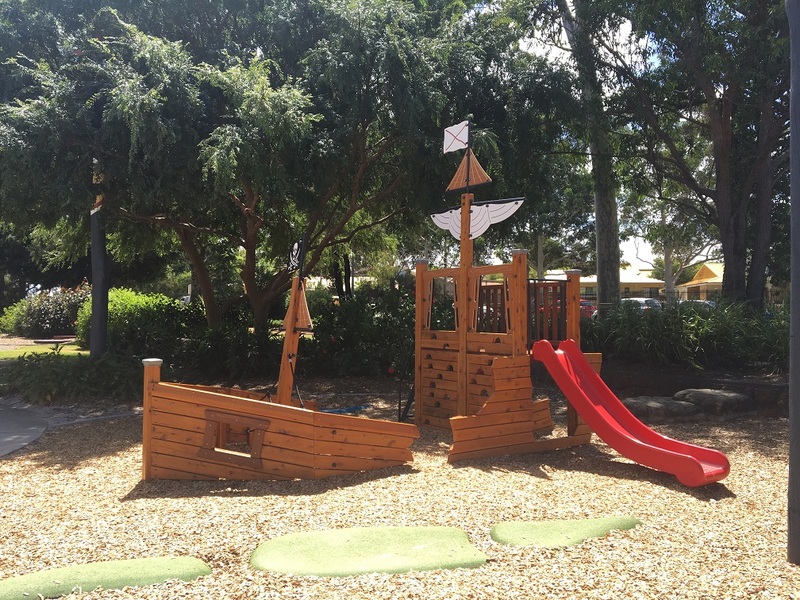 The little ones don't miss out with a shaded toddler section, various sand play features around the park, and a low level pirate ship playground too. 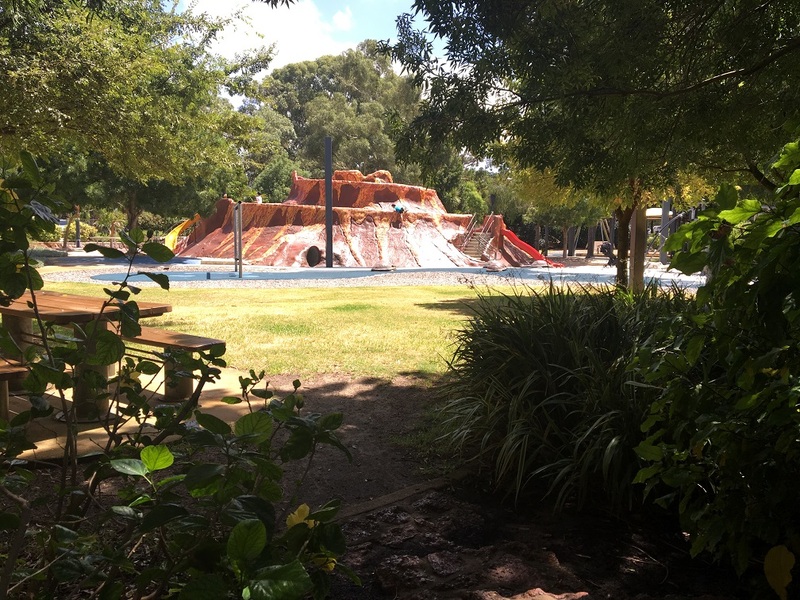 Faulkner "Volcano" Park is a great place to have a kid's birthday party or family gathering with lots of shade, grassed areas and several free barbeques and seated areas available. There are no toilets within the park, however there are some located just across the carpark outside the Belmont Oasis Leisure Centre.